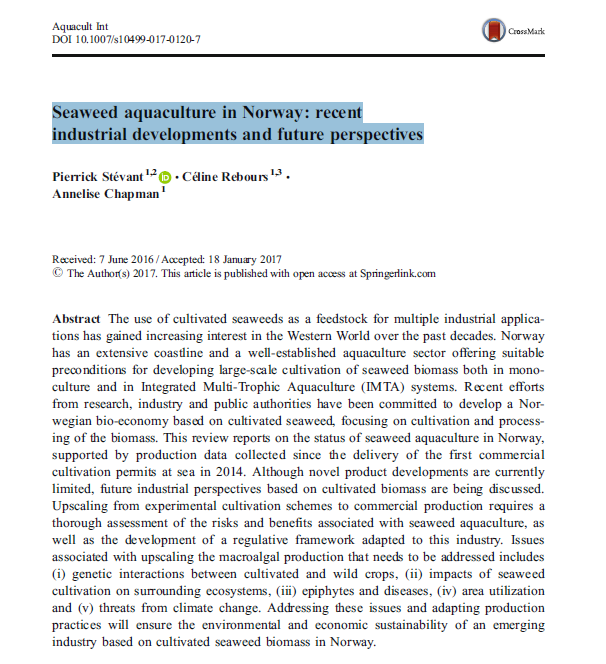 Some of our PROMAC colleagues have a published an interested paper about the Norwegian seaweed aquaculture industry. It is available in Open Access, just follow the link. Enjoy!